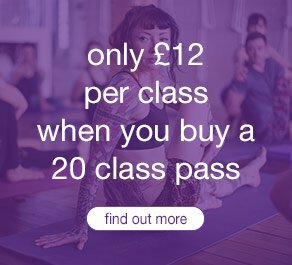 I remember my first Ashtanga class vividly – particularly the point at which the teacher, Nick, instructed everyone to ‘lift up and jump back’. Try as I might, I couldn’t get my sit bones more than a fraction of an inch off the floor and there was absolutely no way that my legs were going to get through my arms. Thankfully Nick was a good teacher, and over the next weeks he explained the mechanics of this impossible movement and – with practice – it came over time. In the years since that initial encounter, I’ve picked up many tips, techniques and practices that can help to develop the strength and control to ‘lift up and jump back’ or to ‘float’ from down dog through to a seated position. Below, I’ve distilled this knowledge down to my top five tips for cracking the jump through code. When taking jump through and jump back movements we need to ensure we have a really strong foundation in our hands. If it’s weak, then that weakness will carry through the entire kinetic chain, making the movements impossible. So, the harder we press down into the floor, the better. That connection down into the floor then creates the ‘rebound energy’ needed to lift and support the weight of the body with the hands. So, if you don’t currently have that range of motion in the wrists then you’ll need to spend some time developing it before attempting these transitions. From all fours, with arms long, shift the weight forward and back to bring your shoulders forward of your wrists whilst squeezing the mat with your fingertips. Go gently and build up over time to increase the range of these movements. By lengthening our arms, flexing (or ‘rounding’) our spine and drawing our shoulder blades forward and around the sides of our rib cage – just as we do in cat stretch – we’re able to make our arms ‘functionally longer’. Imagine that your arms start not from your shoulders, but from the centre of your chest. By reaching as far forward as possible you will add a few valuable inches to your reach. Let’s be honest – even when we’ve made our arms ‘longer’ there’s still not much space to squeeze through. So, we need to make the rest of our body as small as possible by tucking into as tight a ball as we can manage. For this we need to work on our hip mobility – not only is a deep cross-legged forward fold required, but we also need enough strength in our hip flexors to keep the legs drawn into the body without the use of our hands. Squats and cross-legged forward folds will help to develop the range of motion we need; poses such as navasana will develop hip flexor strength. Often I see people trying to take the jump through with a very flat trajectory – which means that their feet hit the mat way before they’ve reached their hands. Instead, rather than jumping forward, jump up and ‘swing’ through using a ‘U-shaped’ trajectory. Rather than thinking about your seated position as the end point in the movement (the ‘bottom of the U’), think about making it back up to the top edge, on the opposite side. 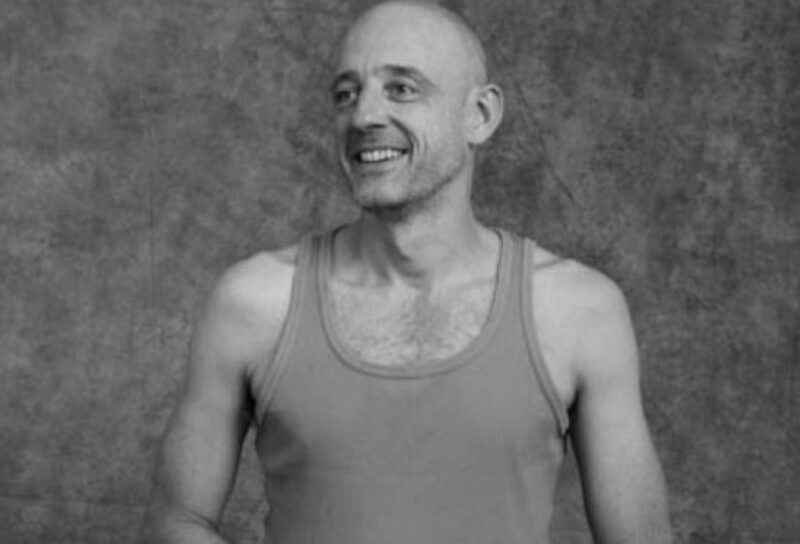 Bandhas are something best explored in person with a teacher, but for the purpose of this post, the best direction I can give is to feel that the belly button is ‘lifting up’ towards the chest. You might find that as you draw the belly button up, it has a tendency to slightly draw back towards the spine. This is a great starting point for uddiyana bandha. For mula bandha, imagine that there is a little thread attaching your belly button to your pelvic floor – so as you draw the belly button up, there’s a corresponding gentle lift of the pelvic floor muscles. The trick is to maintain this engagement in uddiyana and mula bandha as you move through the jump through and jump back transitions – it takes practice, but it’ll come over time. For more specific applied practices for the jump back / through, join me for my cracking the jump through code workshop on 14th September. 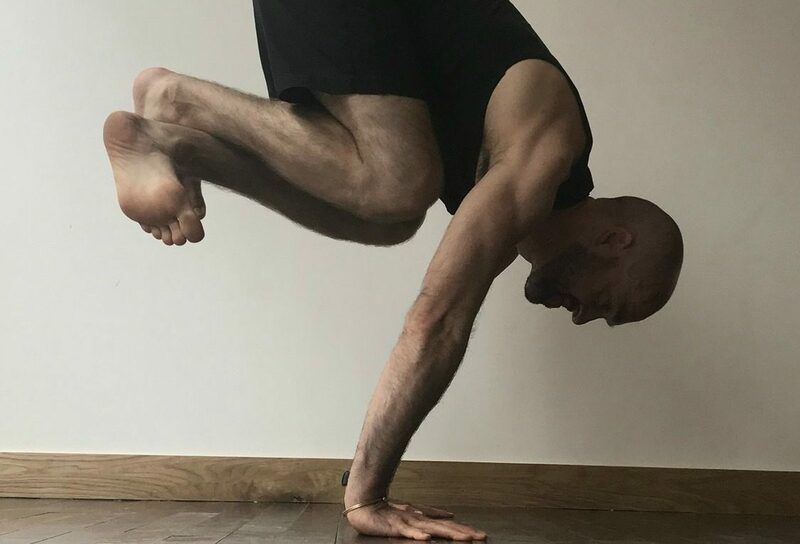 Matt Gill will be leading a two-hour workshop – lifting + floating: cracking the ‘jump through’ code – on Friday 14th September in Shoreditch, from 7.30-9.30pm. For more information and to book, click here.